The “discs” are the cushions of the spine and are located between each vertebra. They are strong and flexible allowing movement of the spine. They also act as a shock absorber and transmit loads up and down the spine. When one disc is injured, it can bulge, like when you squeeze a balloon between your hands. This disc bulge can rub against or compress the nearby nerve root and cause pain and inflammation of the nerves that exit the spine resulting in back pain and even leg pain. Disc injuries are actually less common that other back conditions and only account for about 5% of all back related to disc injuries. And fortunately only about 5% of them need surgery. The term “slipped disc” is often used as a blanket diagnosis but it is a misleading phrase as discs do not slip. For a short animation about disc herniations, click here. Slipped Disc Treatment include physio-therapies such as ultrasound, electric muscle stimulation, myofascial release and ice, as well as chiropractic adjustments. There are many different ways to adjust the spine to achieve Herniated Disc Pain Relief and I have found that the Flexion Distraction Technique and the gentle Thompson Drop Technique is often the best in the acute and most painful stage of recovery. The techniques used will always be customized to your needs. I was introduced to Dr. Hoch at Fort Myers Chiropractic Studio by my wife Stacey and was in complete desperation. Just before Christmas 2016, I developed progressive pain in my neck that started out feeling just stiff and sore. That soreness quickly progressed to a point where I was completely debilitated. I went to the emergency room and despite getting high-caliber pain medication, nothing helped at all. Dr. Hoch understood the pain I was experiencing and knew exactly what to do to help me. Within a few treatments and traction to relieve pressure in my neck, I started feeling like myself again. While being treated by Dr. Hoch, I was also under the care of a neurosurgeon and pain management physician. The surgeon ordered a MRI to see more closely what was going on. 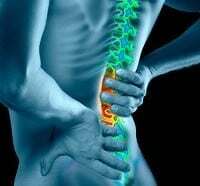 I was diagnosed with a severe C5-C6 disc herniation. He stated that with the degree of herniation I had, the only way to fix the problem would be surgery, however, my insurance company dictated that conservative treatment had to be exhausted first before moving on to that. For once, I am glad that the insurance company intervened to prevent that surgery because I didn’t want to go that route if I could avoid it. With Dr. Hoch’s help, I was not only just able to avoid surgery, but able to get back to work relatively quickly. Today, it has been only 3 months since this whole problem began. In that short period of time, I went from being unable to do anything, to not having any restrictions in my life. Not having restrictions is important because I am a nurse, and there isn’t such a thing as light duty in my field of work. I am thankful for the whole team at Fort Myers Chiropractic Studio, because without them, I’m certain I would still be recovering from surgery. ~M. H.